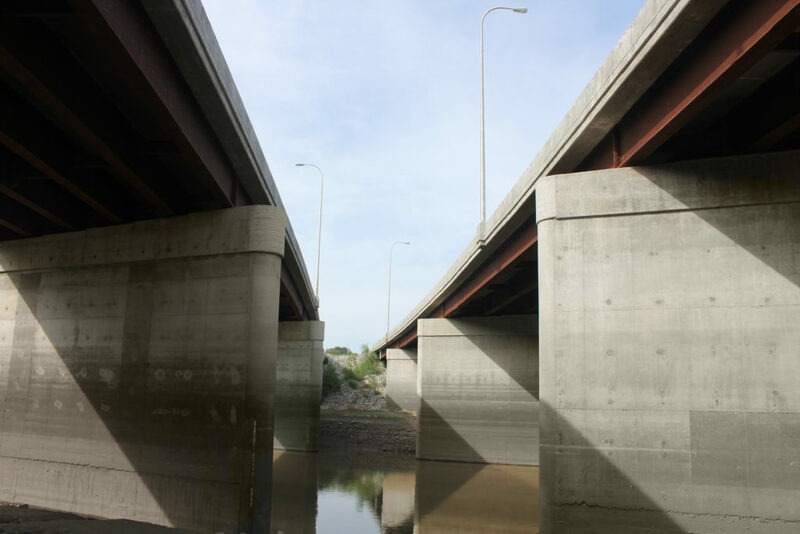 The structures carrying Illinois 13 over the Big Muddy River were experiencing deep settlement issues. The structure carrying eastbound traffic was constructed in 1954, while the structure carrying westbound traffic over the river was constructed 20 years later. Various repairs were completed for both structures over the years, but a full replacement was needed due to issues caused by the settlement. 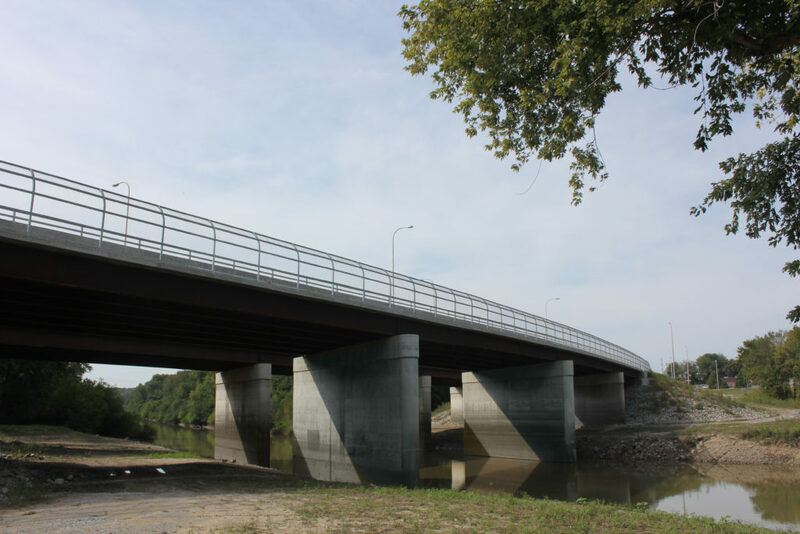 Oates Associates provided engineering services for the replacement of dual structures carrying Illinois 13 over the Big Muddy River. The 3-span curved structures were replaced with 465’ curved 5-span structures. Close coordination between geotechnical and structural engineers was required to evaluate alternatives to address the subsurface issues. The bridges were designed to not move or be impacted by future settlement.